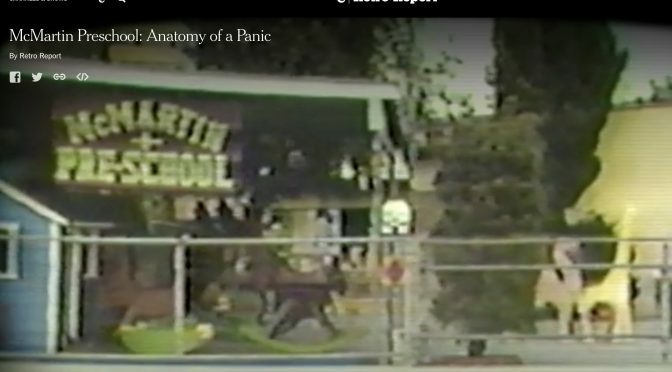 A lengthy prosecution of teachers and owners of the Manhattan Beach California-based Virginia McMartin Preschool for sexual abuse allegations dominated news headlines and broadcasts throughout the 1980s. An initial investigation involving interviews with hundreds of McMartin students by an experienced child therapist found a majority of students affirming such abuse. Despite abundant evidence and blanket media coverage the defendants were acquitted in 1990 after six years of trial proceedings costing $15 million. Defendant Raymond Buckey was retried shortly thereafter and again exonerated. The observations of students included a number of tunnels existing underneath McMartin classrooms and bathrooms connecting to external exits, through which students passed to be taken to other locations where they attended and partook in occult rituals. Following the McMartin students’ allegations reports of similar abuse began to emerge at preschools throughout the US. 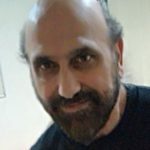 Editor’s Note: The following is from the website of former CIA case officer Robert David Steele, who is adviser to an ongoing multi-part investigation of the relationship between pedophilia, the occult, and the deep state authored by Joachim Hagopian. The work is being made available free online in regular installments, as well as on Amazon Kindle. Additional information on the fully-accessible table of contents is available here. Below is a November 2017 interview of the author by Sarah Westall, in addition to the Foreward by Mr. Steele. Below are links to individual posts for each chapter; at each post the reader will find full text online, a down-loadable document, and a link to the Amazon Kindle version for 99 cents. Joachim Hagopian is a West Point graduate and former US Army officer. He has written a manuscript based on his unique military experience entitled “Don’t Let The Bastards Getcha Down.” It examines and focuses on US international relations, leadership and national security issues. After the military, Joachim earned a master’s degree in Clinical Psychology and worked as a licensed therapist in the mental health field with abused youth and adolescents for more than a quarter century. 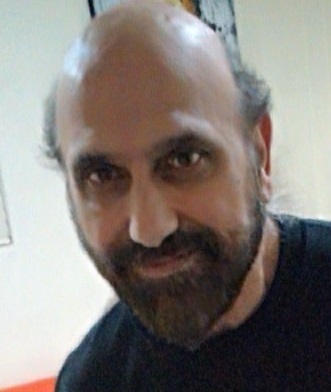 In recent years Joachim has written hundreds of articles featured on various alternative news sites, primarily Global Research,Sott.net and LewRockwell.com. He also maintains a blog site at http://empireexposed.blogspot.co.id/. The stunning win by Donald J. Trump in the November 8th U.S. presidential election took many by surprise, since Hillary Clinton was the chosen candidate. Everyone seemed to think that Clinton would win – either legitimately or in a rigged election. News coverage favored Clinton by a wide margin, and the only major network to give Trump a break was Fox News. Most polls predicted that Clinton would win the presidency, with her odds of winning put as high as 85% and Trump’s as low as 35%. The pundits are now asking how they all got it wrong. Donald Trump with his book, The Art of the Deal. Image: The Guardian. Blame is being placed on “the e-mail scandal,” with James Comey’s letter of October 28 to the U.S. Congress refocusing attention on Clinton’s private e-mails just 11 days before the election. FBI Director Comey reopened the investigation after another 650,000 e-mails were found, this time on the laptop of Anthony Weiner, husband of top Clinton aide Huma Abedin. The laptop was confiscated by the New York Police Department (NYPD) and turned over to the FBI. On November 6, Comey caved to pressure, announcing that no charges were warranted, but some said the damage had been done. On Sunday evening, side-by-side images of Hillary Clinton’s campaign chairman John Podesta and his brother Tony next to police sketches of potential suspects in a 2007 kidnapping of a three-year-old girl took over the internet. The resemblance is striking, and Reddit, 4chan, and Twitter rapidly took up the case.